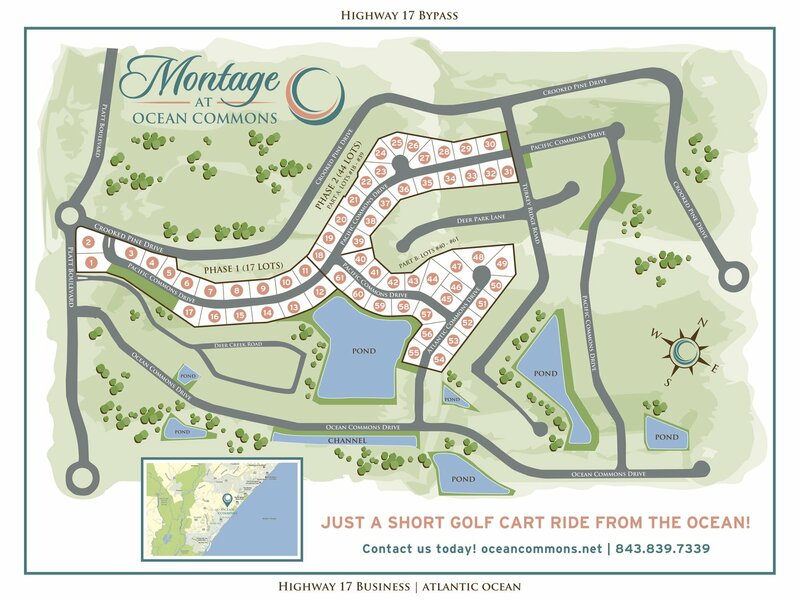 Located inside the Deerfield Plantation master community, adjacent to Surfside Beach, and less than one mile from the scenic beaches of the Atlantic, Montage at Ocean Commons offers premium home sites in a quiet relaxing setting. Montage features the largest lots, 14,500+ square feet, this close to the ocean in the Grand Strand, with only 61 being developed in the first two phases. The Ocean Commons community is surrounded by the many amenities the Grand Strand has to offer - golf, water, state parks are all just a short distance away.